Speaking ahead of Thursday’s ninth regular season contest at The 02 Arena, which saw the Washington Wizards rally to defeat the New York Knicks 101-100, NBA Commissioner Adam Silver confirmed that Europe’s quota of regular season contests is likely to remain at one for the 2019-20 campaign despite the perennially heavy ticket demand for the game. Privately, however, league officials are disappointed in the lack of growth achieved by basketball in the UK during their spell as sporting tourists to the country. And the signs are that Paris’s renovated Bercy Arena could supplant London as the venue for the NBA’s marquee event in Europe. “It is something we are looking very closely at, and that is playing a regular-season game in Paris for next season,” Silver said. “We’ve played many exhibition games in Paris over the years,” he said. “I remember being there with Michael Jordan and the Chicago Bulls. There was tremendous excitement around that team and I think it will continue to be an important market. The smart money would be on the Charlotte Hornets being on the bill in 2020 in what could be Tony Parker’s final NBA season. 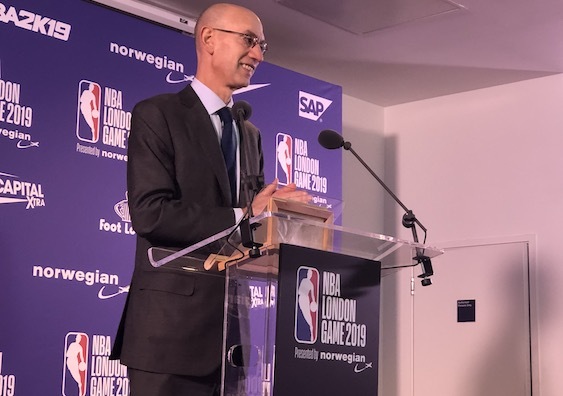 London has been a success in many ways as a business shop window for the NBA with the UK also among Europe’s leading markets for merchandising and League Pass subscriptions. “We are looking at other markets,” Silver underlined. “We recognise that Europe is a huge market, that there is enormous interest, and many of the other European markets have a stronger basketball affinity even than they do here in England. “It’s been a marriage in part of convenience, but it’s been very successful for both parties. Once again here, when we announced this game and put tickets on sale, they sold out in less than an hour. 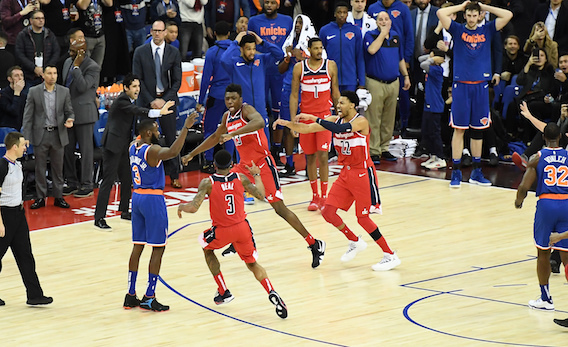 There was a dramatic conclusion on Thursday with Thomas Bryant’s game-winner for Washington with 0.4 secs left going to a video replay before it was adjudged to be a goal-tend rather than block from Allonzo Trier. Bradley Beal led the Wizards with a game-high 26 points.